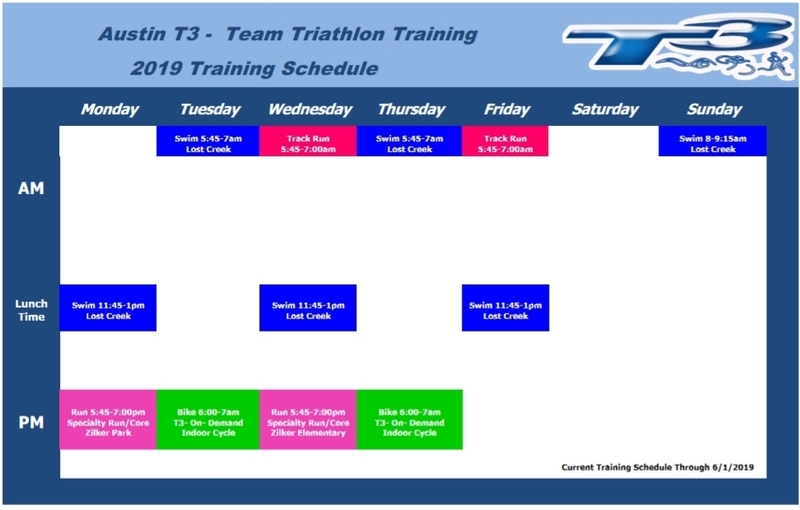 T3 – Utilizes Numerous Locations in Central to Austin for Workout Locations. We train in a centrally located pool, west of MOPAC (Loop 1), on Capital of Texas HWY 360 and Lost Creek Blvd. Enjoy the convenience of world class instruction from the comfort of your own home! We have ON DEMAND Cycling workouts that are streamed using your Smartphone, Tablet or Computer, to watch and participate riding the workouts at home! Your smart TV can also be used to stream the workouts for a great experience (ChromeCast/Apple TV/Roku). Cycle with trainers on your own bike as technique work on your personal bike fit are very important. We offer indoor On-Demand cycling classes 2 days/week during the season and in the Off-season as well. Safety is also very important, so stay out of the traffic during the busy work week by training indoors. Triathlon/Road cycling specific workouts that specialize on endurance training for athletes. Keep the intensity higher during training by not having to worry about stop lights, traffic or weather. Is second to NONE! We offer four practices during the week! Specialty runs with core on Mon/Wed are off the track focusing on HILLS, TEMPO from PTC! Track Speed workouts on Wed/Fri mornings to get in power and speed work. please contact staff for locations. -Balance your training with functional exercises to improve your swim, bike or run without the long miles. -Our run/core classes will keep you injury free – Balancing unidirectional training for balanced muscle development.